The Kanji Collection features layers of maroon and black 100% wool felt and cream basket weave silk fabrics. 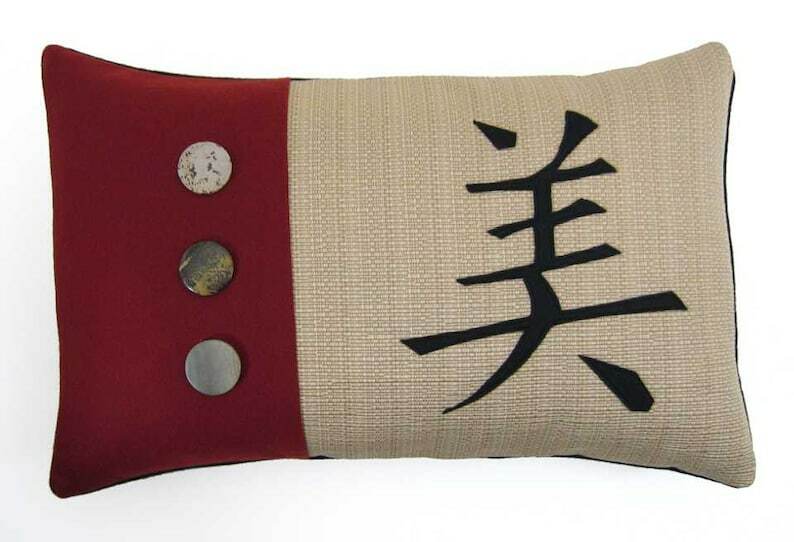 The Kanji Beauty is an oversize breakfast pillow adorned with real jasper button accents and measuring 12 x 18 inches. Down-like polyfil pillow insert included. Dry clean only for the sham. Insert may be machine washed on delicate. These are the cutest pillows I have ever seen. The quality is fantastic!